Liposuction tumescent technique of abdomen/love handles/saddlebags. Liposuction of love handles and fat grafting of buttocks. Liposuction abdomen, hips, saddlebags, inner thighs. 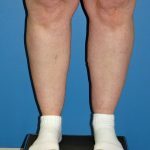 Patient went from a dress size of 12 to an 8. Tumescent liposuction of abdomen, hips, saddlebags, and inner thighs. A total of 3.2 liters (about 5 pounds) of fat were removed. Compression garments are generally worn for 3 weeks only. Results are shown at 3 months. 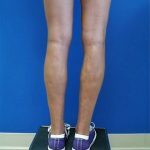 Liposuction calves and ankles. 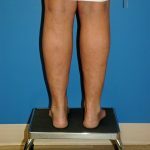 Total resolution of swelling of the lower legs can take 6-12 months. 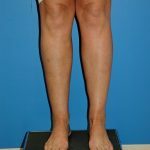 Liposuction calves and ankles. 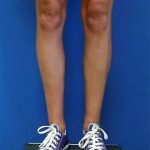 Total resolution of swelling of the lower legs can take 6-12 months. 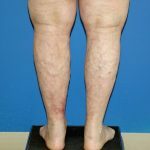 The irregularities of the calves are varicose veins which were present before surgery. They were treated by a vascular surgeon. Liposuction saddlebags. All liposuctions are performed using the tumescent technique which allows for less blood loss and better anesthesia. Smaller liposuctions can be performed in our Cincinnati Plastic Surgery office. Liposuction saddlebags, hips, and inner thighs. All liposuctions are performed using the tumescent technique which allows for less blood loss and better anesthesia. Smaller liposuctions can be performed in our Cincinnati Plastic Surgery.